I often avoid shooting in my yard because of the clutter - swing set, shed, hammock, neighbors, etc. But there is a spot in the back corner where two dogwoods bloom in the spring. Behind the trees is a row of tall hedges, and in the morning, the sun filters through just right. It's my favorite spot for shooting at home. A telephoto lens removes the distractions and just a few feet is all that's needed for a pretty backdrop. What's your favorite place to shoot at home? Shot with a D800 and Nikkor 105 mm 2.0 DC lens. How sweet! You wouldn't know this was in the midst of a bustling back yard! What a beautiful photo!! It is angelic. Beautiful photo. Your little one has that lovely (Gibson Girl) quality. She's beautiful. Gorgeous - I love my covered porches for shooting at home - they give great open shade & the rustic wood gives great texture. 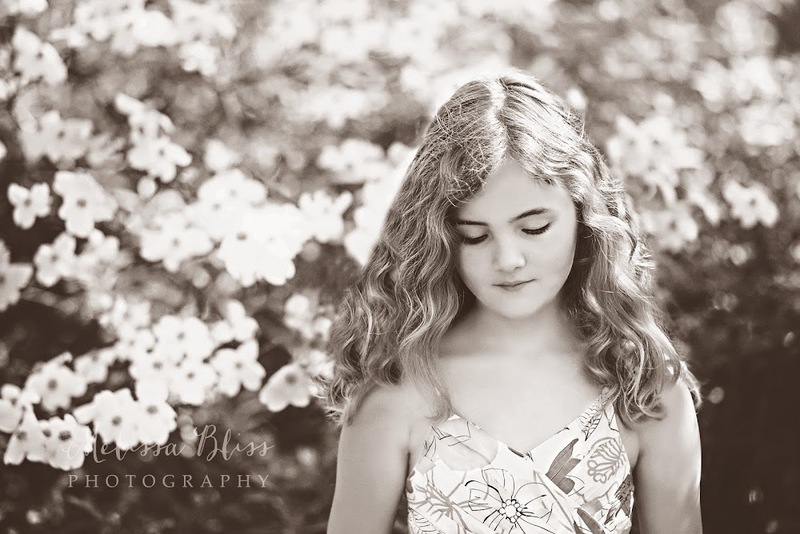 How beautiful this is, Melissa, and the dogwoods sure make a gorgeous backdrop. What a beautiful picture! I always avoid shooting on our first floor. The walls are dark and I find the light dark. I love shooting in my daughters room. It has amazing light and great colorful floors! What a gorgeous spot! 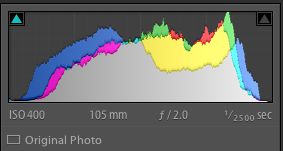 Love the addition of the histogram.